I'm a big fan of brunch. This is unfortunate, in some ways, as brunch can only be reasonably served twice a week rather than seven times, giving breakfast, lunch, and dinner far greater glory. Last month, I hosted a brunch in my home for three colleagues and friends. 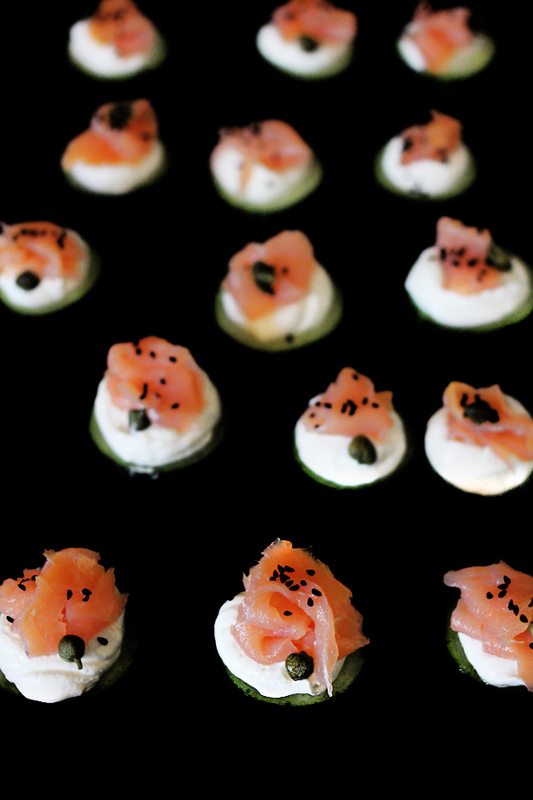 The event was potluck, and in anticipation of all the breads, cakes, muffins, and scones I knew others would (blessedly) contribute, I banged out these light, refreshing cucumber bites with Greek yogurt and lox to complement the heavier, more indulgent fare. I credit Team Yogurt contributor Maureen Abood for inspiring me to build an hors d'oeuvre on a cucumber rather than a cracker. Maureen's Cucumber Bites with Olives and Labneh planted the idea, which I then tweaked to showcase pleats of smoky lox. It's a twist on the classic bagel and lox combo, but with cucumber in lieu of the bagel. Lighter? Yes. Serves more people? Yes, yes. Prettier? Yes, yes, yes. That they're gluten-free doesn't much impact me, but it's nice for any guests for whom that's important. At brunch, in particular, everyone—gluten-free or not—will love this break from pastries and strata. Here's an elegant but dead simple hors d'oeuvre well-suited to a brunch or daytime buffet. If you're skilled with a pastry bag, fit one with a large round tip and use it to pipe the yogurt atop the cucumbers. If not, a small ice cream scoop or spoon will do just fine. I happen to have nigella seeds in my spice drawer, so I've deployed them here as a pretty garnish. (They taste faintly oniony and look dramatic against the whites, pinks, and greens.) Black sesame seeds, poppy seeds, lemon zest, or even minced herbs would sub in nicely. Tip: You can make these up to 2 hours ahead and store them in the refrigerator. (Any longer and the yogurt may start to weep.) Garnish just before serving. 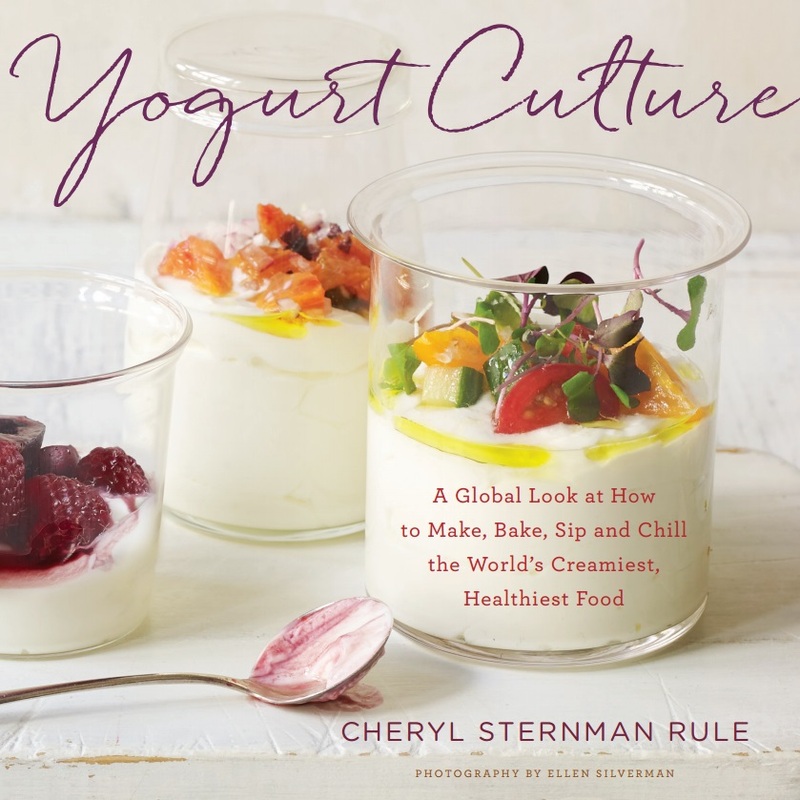 In a large bowl, whisk the yogurt vigorously until light and fluffy. Season to taste with salt (keeping in mind that both the lox and capers are salty) and whisk some more. Transfer to a pastry bag fitted with a round tip, if using. Otherwise, grab a small scoop or spoon. Arrange the cucumber rounds on a serving platter. Pipe or smooth a generous dollop of yogurt atop each one, and top with a slice of lox folded in gentle pleats. Garnish each with a drained caper and a sprinkling of seeds, zest, or herbs. Keep cold, covered lightly, until ready to serve.